World’s 1st Windows Password Recovery Tool for resetting Windows local or domain account passwords on Windows 10, Windows 8.1, Windows 8, Windows 7, Windows Vista, Windows XP, 2000, NT, Windows Server 2012 (R2)/2008 (R2)/2003 (R2), etc. Besides recovering password it can even create a new administrator account via CD/DVD or USB drive. 100% Password Recovery Rate! Step 3. Reset Windows Password with bootable password reset disk. Create a bootable USB flash drive. 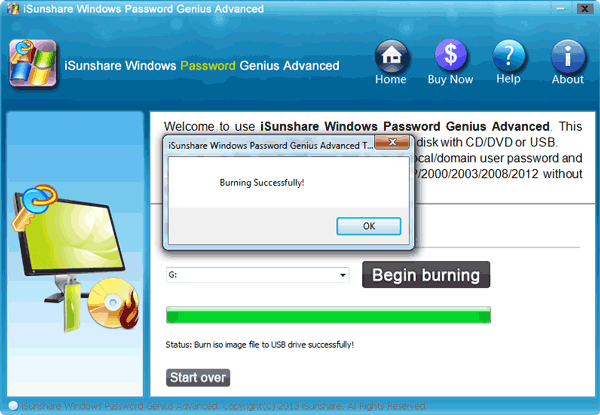 Burn a Windows password reset USB disk as well to get reaccess into your computer. 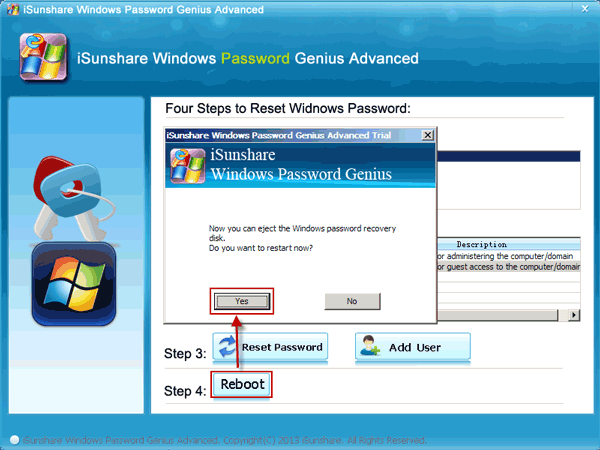 Recover or reset all Windows user and administrator passwords. Reset all domain user and administrator password. The fastest Windows Password Recovery Tool with easy to use interface and keep your privacy safe. "What really turned me over was the ability to reset Windows password without any data loss." 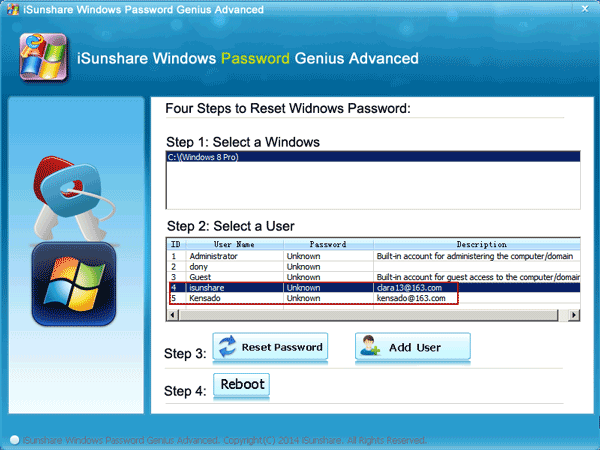 "Windows Password Recovery Tool makes Windows password reset easy. Resetting Windows password has never been so simple." "I've tried many suggestions online and at last this Windows password recovery tool worked." Reset Windows Local Admin and other user passwords. Create USB or CD/DVD password reset disk in Windows. Create a New Local Administrator Account. Reset Microsoft Account password for Windows 10/8. Create a New Domain Administrator Account. Support Windows server runs on RAID computer. With Windows Password Key, you can create a bootable CD/DVD/USB to reset forgot Windows password. Below is the detailed guide to do that. Step 1. Download and install Windows Password Key on any accessible computer. Step 2. 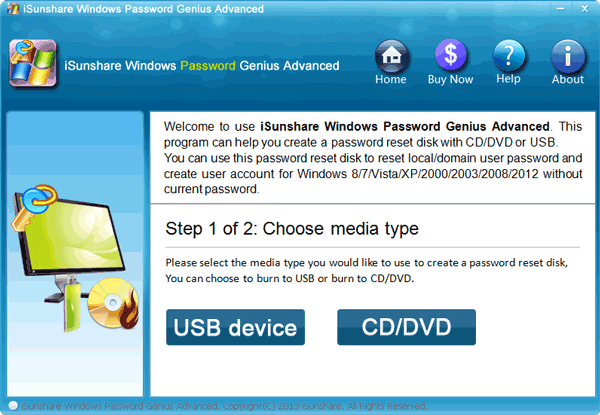 Run Windows Password Key and choose CD/DVD/USB as your media type. Step 3. Insert a CD/DVD/USB and select the inserted CD/DVD/USB from drop-down list, then click “Begin burning” button. Step 4. After Windows password reset usb disk or cd/dvd disk burning, plug the created CD/DVD/USB into locked computer, and set computer boot from it. After reboot your computer, you can access into your Windows again. Which kind of Windows system could Windows Password Recovery installed in? 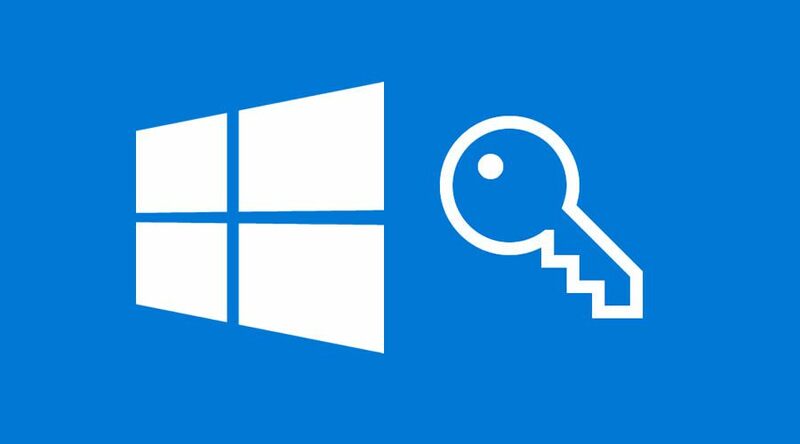 Windows Password Key can be installed on Windows 10/8/7/Vista/XP/2000/NT, Windows Server 2016/2012/2008(R2)/2003(R2)/2000. What can Windows Password Recovery do for me? A powerful Windows password recovery tool to reset all kinds of accounts password, and add new user account without logon in Windows 2000/2003/2008/2012/2016/XP/Vista/Win7/Win8/Win10(32 bit & 64 bit). How long it takes to reset Windows password? From you download the Windows Password Key, create a Windows password recovery tool usb to finish password reset, it will take just a few minutes. Which editions of Windows Password Recovery should I choose? Usually Professional edition is for personal computer. If you will use it on Windows server computer, Advanced and Raid edition is better. What's the difference between the trial version and full version? The trial version only shows all user accounts of your computer, but cannot reset Windows password. The full version shows all users’ accounts and allows you to reset the password. What do I need to prepare before resetting Windows password? 1. A usb flash disk to create a Windows password reset usb. 2. An accessible Windows computer, Windows 2000/xp/vista/7/8/10 supported.